A glamorous address needs a glamorous interior to match – and look no further than Fifth Avenue and Tamara Magel respectively! 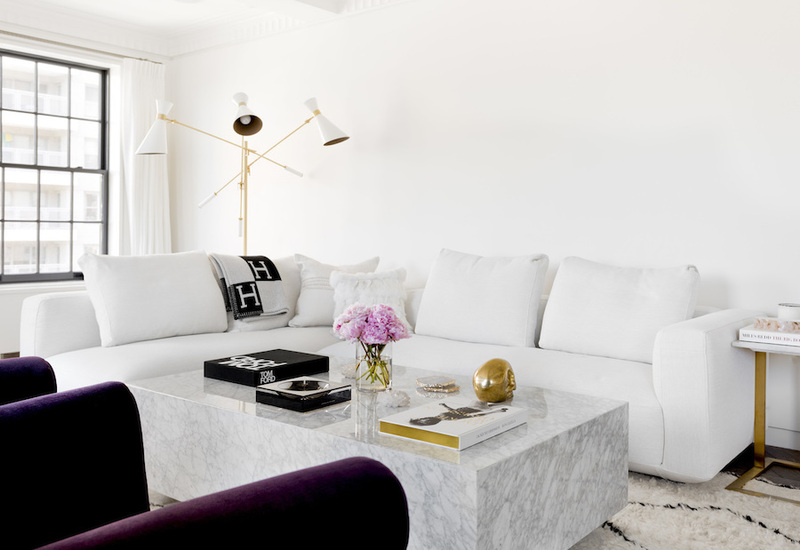 What I love about this space is how each room has a bold accent color to give it character and draw the eye in from the black white and gold theme. The minimalist white artwork against the patterned black and white wallpaper at the entryway is the perfect calming focus point. The console table with gold legs also adds elegance and glamour to the space. 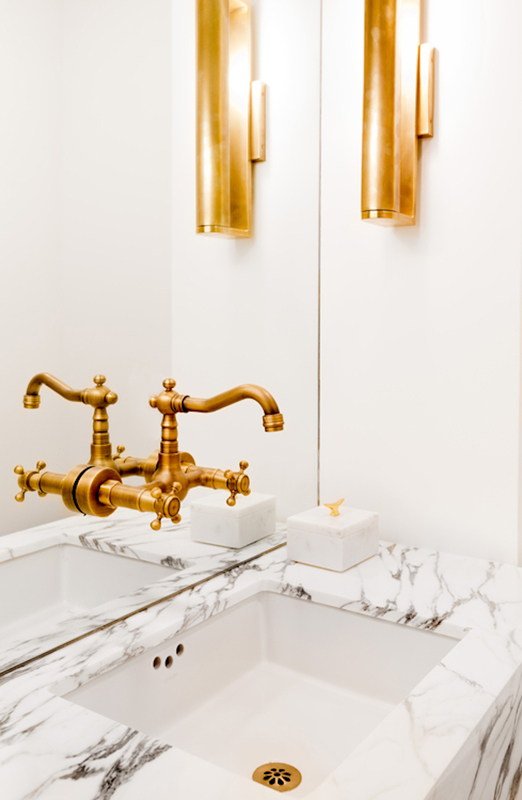 Gold accents work perfectly. So much to love about this dining room. 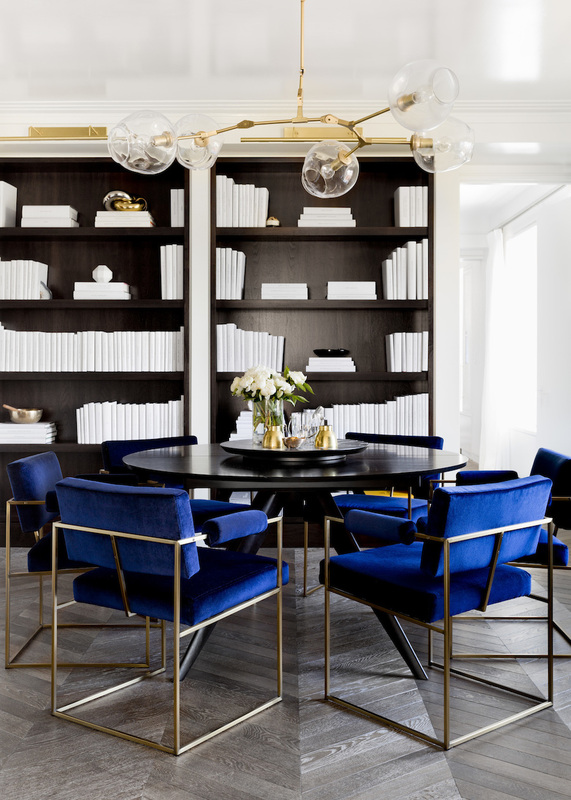 From the royal blue velvet chairs to the solid black bookcase with white books – everything works seamlessly. Continuing the black and gold theme in the bedroom, we have some lovely decor accents like a gold-framed mirror with writing in French. The black accent wall works great as well, providing a nice backdrop for the mirror without drowning the room in darkness. 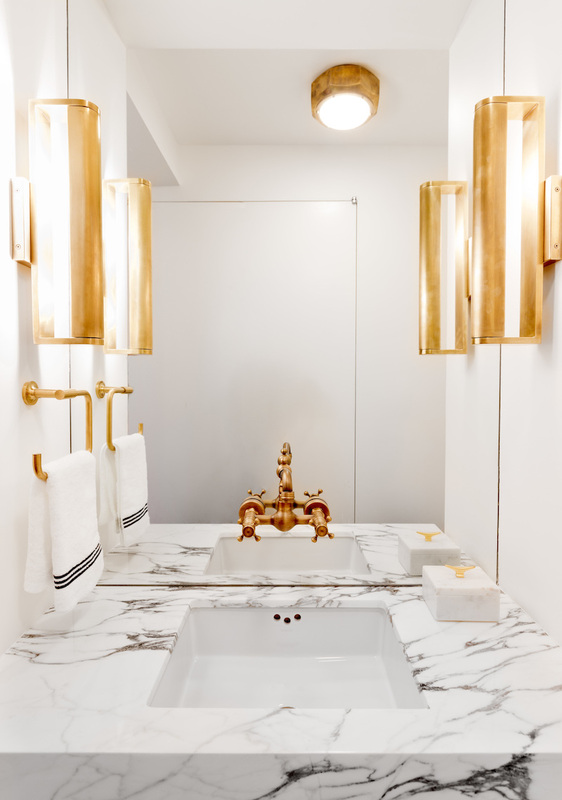 I certainly have a huge crush on marble bathrooms, and this gold-accented one is no exception! 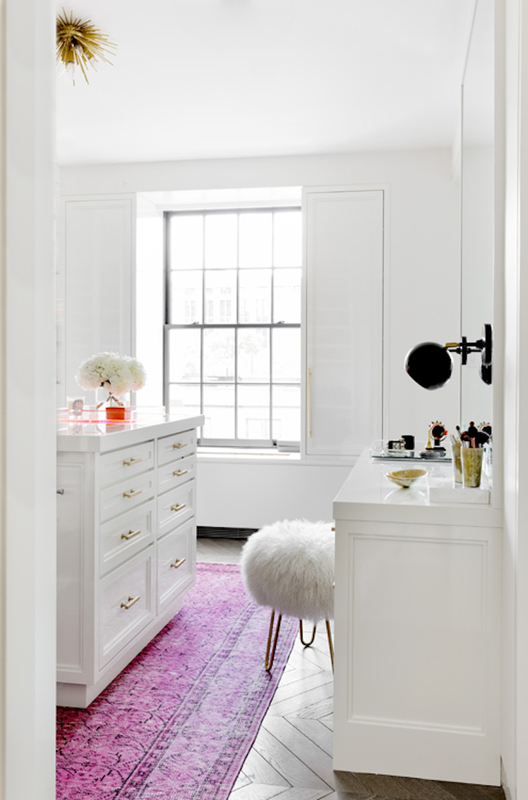 Love this vanity space, and not sure if it’s part of a closet, but I hope it is! The pink carpet provides a nice pop of color and the fur stool adds a touch of chic. The gold starburst ceiling light is minimal yet stylish.